As a key member of the health care team, LPNs are committed to improving the quality of life for the people they serve. They work in a nursing environment that poses great challenges but reaps emotional rewards and a deep sense of camaraderie with other licensed professionals and patients. Working under the guidance of a registered nurse or physician, LPNs provide skilled and compassionate care in a variety of settings, including hospitals and clinics, but primarily in nursing homes and physicians’ offices. To qualify for licensure by the Office of the Professions, you must complete an approved practical nursing program and pass the NCLEX-PN. Applicants should also have a good moral character, strong leadership skills, and a desire to help others. Don’t waste time, energy or money; enroll in a program that is approved by the State Education Department. Refer to the list of approved schools below or check the Office of the Professions website before submitting payment for tuition. Remember, the licensing agent will only approve requests for licensure from graduates of approved programs. The program should provide at least 9 months of classroom and clinical instruction conducted in a recognized institution or the armed forces of the United States. In addition to the training, nursing students must complete approved coursework related to infection control and barrier precautions, which includes engineering and work practice controls, to prevent the transmission of HIV and HBV during the course of professional practice. The programs at colleges and adult learning centers cover a curriculum that starts off simple but progresses to complex topics that prepare students for employment as part of a highly efficient medical team. Students learn biology, anatomy and physiology, medical terminology, mathematics for nursing, practicing in New York State, pharmacology, practical nursing concepts, nursing leadership, and exam preparation during the classroom sessions. The supervised clinical experiences develop students’ critical thinking and problem-solving skills to collect and organize data, identify patients’ health care needs, and contribute as part of the interdisciplinary team. Students also learn how to adhere to standards of care and accountability and practice the legal and ethical principles that govern nurses. Entry requirements including proof of age and citizenship or legal residency, completion of the prerequisite courses, attendance at the orientation session, a high school diploma, a passing score on the entrance exam, and letters of recommendation. Before commencing the clinical experience, students must complete CPR, acquire immunizations, and receive background clearance. Nurse graduates are prepared for success on the NCLEX-PN exam, NYS licensure to practice and Licensed Practical Nurses, and subsequent employment in the area of nursing. Graduates also have the foundational training for entry into two-year or four-year degree programs in nursing and related fields. Graduating from the program is no guarantee of licensure. Duration and Cost of Training: State-approved nursing education programs must provide at least 9 months of instruction. However, the majority of institutes provide 12 months of training based on a full-time schedule. Part-time students complete the programs in 18 to 24 months. The average cost of tuition is $24,500, which does not include expenses for textbooks, uniform, shoes, lab supplies, immunizations, admissions fee/exam, criminal background check, CPR, and toxicology screening. Additional fees include health insurance and tuition for prerequisite courses. Financial aid and scholarship opportunities are available for those who qualify. On average, nursing students begin studying for the high stakes NCLEX 4 to 6 weeks prior to the exam. Those who prepare and study in advance increase their chances of success. The NCLEX is developed by the National Council of State Boards of Nursing (NCSBN) and administered by Pearson Vue at testing centers across the nation. Nursing graduates must pass the exam as a final step to licensure in New York. The Office of the Professions, who acts as the licensing agency for nurses and other professions, must approve a candidate’s eligibility to take the NCLEX. The agency can make the decision only after the candidate submits an application for licensure and pays the appropriate fee. Pearson Vue takes its cue from the Office and issues the Authorization to Test. Review the ATT carefully and follow the instructions for scheduling the exam on one of the available dates. The ATT expires after 90 days with no opportunity to extend. Expect the letter in mailbox (email) within two weeks of submitting your registration and application to the Office. There are several testing centers in New York, including Forest Hills, New York City, Brooklyn, Staten Island, and Lake Success. One of the key factors in passing the computerized adaptive test is to study your notes from the nursing education program. Approved colleges will provide all the information you need to pass the exam. It is also vital that you review the Candidate Bulletin as it contains information for preparing for the exam, including an overview of the exam and what to expect on exam day. Your results will be available within 48 to 72 hours. However, it could take up to two weeks to receive notification from the Office of the Professions. You will receive your state license to practice if you pass the exam and meet all other requirements for licensure. If you fail the exam, you will receive a Candidate Performance Report that will highlight your strengths and the weaknesses that you need to strengthen in preparation for your next attempt. In order to retake the exam, you must submit another application with the required $200 registration fee. The practice of nursing and use of the title “LPN” requires a license from the State of New York. To obtain a license as a registered professional, you must have a good moral character, meet the educational requirements, be a high school graduate, and meet the examination requirements. Anyone 17 years or older can register as a licensed practical nurse. The candidate for licensure must file an application on a Board-provided form and submit the appropriate fee to the Office of the the Professions. If you’re taking the NCLEX-PN for the first time, you may apply for a limited permit with your application for licensure. 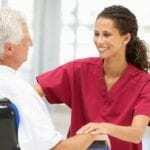 A limited permit grants the authorization to practice under the immediate and personal supervision of a licensed nurse with the employer’s endorsement. You will be eligible for the permit after submitting your application for licensure, the application fee, and proof of education. Submit the Application for Limited Permit and the $35 fee with the application for licensure by exam or at any time thereafter. The permit expires in one year or 10 days after the applicant receives notice of failing the NCLEX-PN. The permit is employer-specific. Therefore, you must submit another application if changing employers – a new fee is not required. Graduates of NYS approved nursing education programs may practice for 90 days immediately following graduation from the program without holding a limited permit. You must submit your application for licensure and pay the accompanying fee to be eligible to practice. To qualify for licensure by examination, you must successfully complete the NCLEX administered by Pearson Vue. Submit an Application for Licensure. Answer all questions and provide your social security number and DMV ID number. Pay the initial registration fee of $143 using a check or money order payable to the New York State Education Department. If you graduated from the NYS approved nursing program, your school will verify your education directly with the NYSED. Graduates of a nurse education program conducted by the U.S. armed forces must verify their education using Form 2AF. The director of the program should complete section II (after you complete section II) and submit directly to the Office of the Professions. Graduates of a foreign program should verify their credentials through CGFNS and have the report sent directly to the licensing agency. Register to take the NCLEX with Pearson Vue. Get the program code from the nursing education provider or the NCLEX Candidate Bulletin before attempting to register online or over the phone (1-866-496-2539). Include an explanatory letter and copies of court records including a Certificate of Conviction, if you answer “yes” to questions relating you your criminal history. Submit the Request for Reasonable Testing Form along with your application if you have been diagnosed with a disability and require special testing accommodations. Sign and have the application notarized by a Notary Public. The Office of the Professions will review your application and supporting material and issue the license after you pass the exam and meet all other licensure requirements. You will receive written confirmation of your licensure within 2-10 days following the licensure date. You can use the online verification service to check the status of your license at any time. A completed Application for Licensure. The application fee of $143 using a check or money order payable to the New York State Education Department. The Certification of Professional Education form. Graduates of foreign programs must submit a report through CGFNS. All verification forms/reports should go directly to the Office of the Professions from the verifying body. Verification of the license from another state. If your original state of licensure participates in Nursys, you must request verification using the system. Otherwise, you must use the Verification of Other Professional Licensure/Certification to verify your license. The licensing agency must submit the form directly to the Office of Professions. LPNs in New York must renew their licenses to continue practicing. The Office of the Professions will mail renewal information to the address on file. However, it is recommended that you renew your license online. The license is open to online renewal five months before the expiration date and up to four months thereafter. Using the online portal, you can complete your license renewal and request an optional Professional Photo ID, inactive your license, and change your address. A valid credit card is required for online renewal. If you change your address, the OP will mail the confirmation of registration to the new address. The Office will process online renewals immediately and send out the registration card within two business days. Name changes cannot be completed online. Use the Change of Name form to submit a request to change your name. Out of all healthcare occupations expected to grow at least 21% by 2020, nursing positions are among the jobs with the highest rate of growth and return on investment. With over 3.7 million aging Baby Boomers with full access to health care, New York’s healthcare workers can expect steady employment and decent wages. 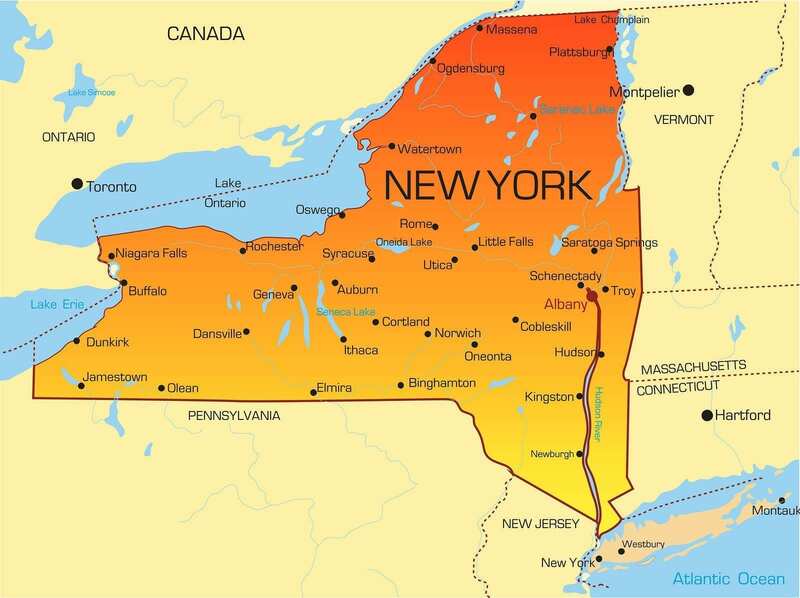 Licensed nurses, considered a middle-skilled job in many states, fall within the high-skill category in New York due to demands. There are approximately 65,000 LPN within the state, and based on statistics, there will be close to $1,450 new positions open every year until 2020. While there’s a continuous need for new LPNs to replace retiring nurses and fill positions in long-term care, the industry is shifting drastically towards nurses with two and four-year degrees. In some parts of New York, such as Westchester and Suffolk, the demand for LPNs is higher than others. Unlike other states, the shortages are dominant in the outlying areas rather than the metropolitan cities. There’s an average of 75 approved practical nursing programs to supply the bustling city with new nursing graduates. The enrollment limits of 25 to 40 students with each cycle can also curb supply. At an average cost of $24,500 for tuition, and a median annual wage of $46,660, New York LPNs can expect a healthy return on investment. I’m confused, if no one is hiring Lpns, or if they are trying to phase out Lpns, then why are they still advertising PN programs. I think they r phasing them out of hospitals. But they do still have them in the nursing homes and out patient parts of the hospitals. I’ve been on alot of interviews since my hospital close. This is not to tirn anyone against becoming a Lpn, but a few interviews I went on, Lpns are called Clinical Assistant. Another interview, you can not do any things that is considered Triaging….no PPD readings, or B/P readings..There are other things that different places are not allowing Lpns do any more…. I’m an LPN with pediatric experience doing Peds private duty. My pay rate is $28.11/hr which is more than my RN friends working in the hospital. However, where I live, LPNS are techs in the hospital. I’ve found private duty, long term care or outpatient clinics/Dr offices are employment opportunities. DeTina Nimtien you work for yourself or through a company? I’m very interested in finding out more. Please inbox me. Wow DeTina that’s alot for an LPN. I make $14.50/hr. I work at an ARC . not allowed to do alot of the stuff I’ve been trained to do. Crazy. Jolene Edick I’m confused I’m a CNA and I make 18.69 an hr I also do blood work. I was on the phone getting some information when o hot disconnected. I rang back several times no one pick the phone up .is it a scam.? the problem with being an LPN in NYS is we are not allowed to do a lot of things and are not regarded as important in the nursing field!